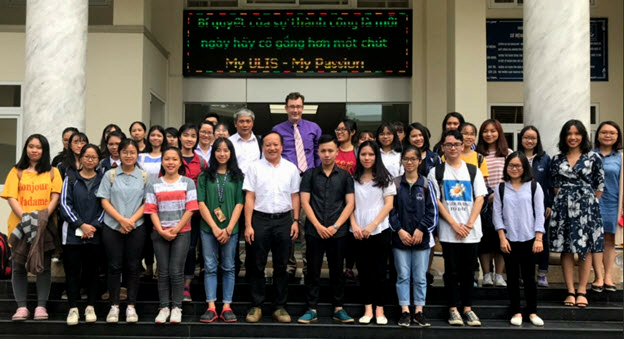 On November 15th, 2018, Etienne Rolland-Piègue, Counselor for Cultural Cooperation and Activities of the French Embassy in Vietnam, visited ULIS-VNU and had a talk with Students from different faculties. On the subject of Asian cultures, he talked directly with students in French, Japanese, Korean and Vietnamese. 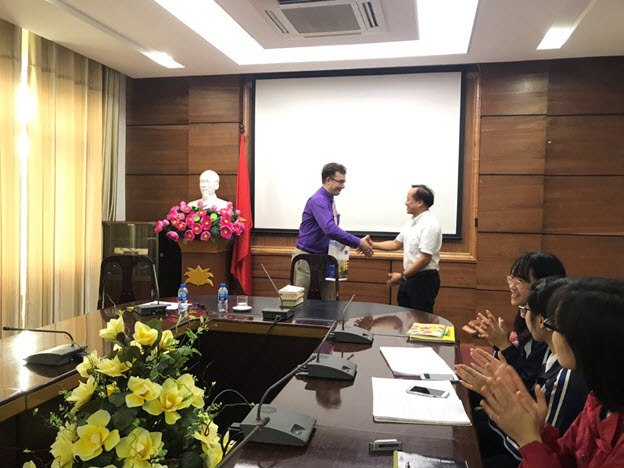 Mr Etienne ROLLAND-PIEGUE shared his personal experience from the perspective of a European person living and working in many countries in Asia. The talk was very engaging and open. About 60 students participated and raised a lot of questions on this topic. Some of them even actively communicated directly with the Counselor in the foreign language they had been learning without the help of an interpreter. 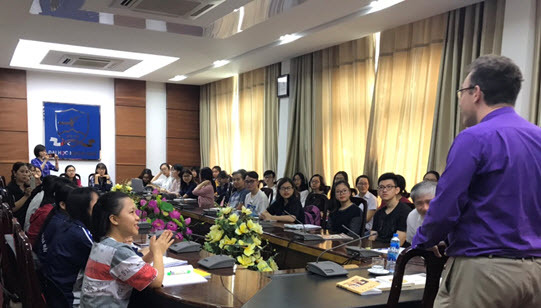 The students discovered many similarities and differences between Asian and European cultures, especially with regard to the cuisine, language and ethnicity of the any certain country.